Have you ever experienced the symptoms of burnout? 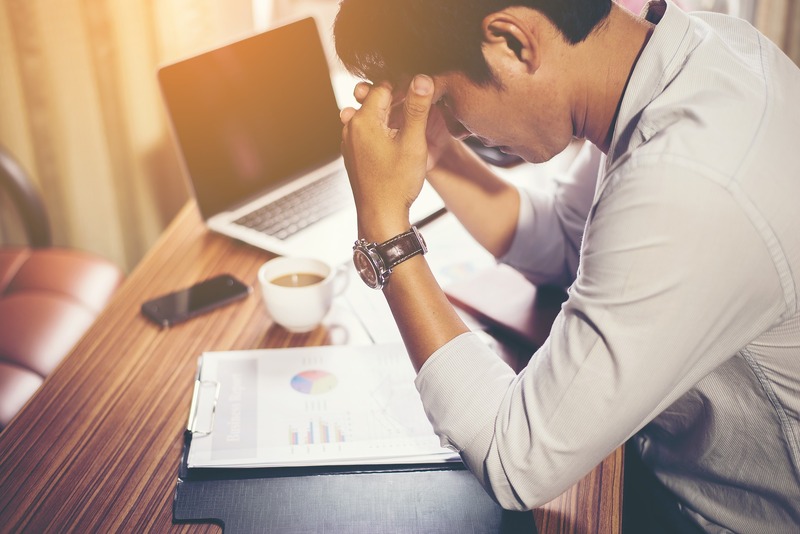 Malaise, fatigue, the absence of drive, a lack of interest… if you’ve ever felt like all your professional vim and vigor were depleted, then there’s a chance you’ve dealt with burnout. Burnout can be a career killer; a spiral from which some people never quite recover. I’m not saying that to scare you, but just to underscore how serious it is. Burnout eats away at your physical and mental health. It causes your work to become sloppy or erratic. And sometimes, it can be hard to shake. Best to protect yourself from getting burned out in the first place, then. That may sound easier said than done, but I’ve got a few practical tips that I can recommend. Know your limits. There’s no way to completely avoid stress, and really, you wouldn’t want to; stress is a big part of what motivates us. However, it’s important to know just how much stress you can handle, and what your breaking point is. Take a self-inventory: What are the things that tend to push you over the edge, or the levels of anxiety you’re comfortable with? Know yourself. Create meaningful boundaries. Another step you can take is to put some hedges in place, protecting your time, space, and sanity. Maybe this means you take an hour at the gym every day, no exceptions—and that you don’t look at your work email any time during your exercise! Or maybe it means a strict policy against work calls and emails on the weekends. Put boundaries like these in place for yourself and your family. Take time to disconnect. This dovetails with the last tip, but I’d really recommend having at least one or two hours a day where you’re not plugged into your phone/tablet/computer at all. Spend some time exercising, walking, meditating, or simply enjoying your quiet. Have a hobby where you’re in control. Finally, have an area of your life where you can be the boss, and not have to answer to anybody. I recommend hobbies that are creative in nature—whether that’s drawing, journaling, or building model trains. Burnout is something that all of us have to be wary of, and to protect ourselves against—and with these tips, you can put the necessary precautions in place. Connect with me today to talk more about workplace success strategies! You can contact Dr. Rick at www.rickgoodman.com or call 888-267-6098.